Richard sat down forcefully & his chair squealed from his harsh approach. now, they were not even seeing eye to eye. made it obvious that she also had doubts. the words she spoke out of anger & spite. message again, resisting the urge to delete it. hurt terribly but he knew she must be hurting terribly. because of a mere hug. She had seen him hug so many people without acting up. Now, there’s the girl she had mentioned. Who the hell could that be? He pondered. The door opened. He didn’t know if the person had forgotten the courtesy of a knock or if he simply did not hear it. of the reasons why he is having problems. joyous one within the space of seconds. had finally answered their prayers at last. would hear of it after she had made peace with Richard. phone left her grasp, falling into ruins on the floor. could be doing in BRH. lost college friend in Da Queens Hotel. when they saw two ladies. Prisca had agreed with her. doctor’s uniform? Belina should be able to explain something. 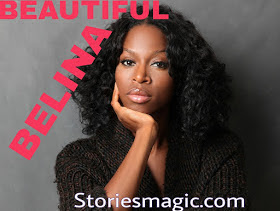 0 Response to "STORY: BEAUTIFUL BELINA(Season 2,Episode 23)"